The ultraweb is an amazing place. It is the new frontier. Forget space. In space it takes 3000 light-years at least to reach a whole new cluster of heavenly bodies. 3000 light years is for pussies. On the ubernet, such pockets of wonderment are within 3000 nanoseconds. The best thing about being a film studio in today's culture is that we can interact with our audience. We make films equally as much for ourselves as the viewing public, and with youtube giving us constant feedback with the opinions of our fans, we can all reach an interconnectivity like never before. This is mind, I have decided in future to post up anything from the Italian Spiderman Universe - whether Alrugo or not - that really blows our collective minds and expresses that true sense of interaction between film maker and film fan. If you like Alrugo Films and express yourself through some art form, be it sketching, music, vlogging or whathaveyou, do not hesitate to send it to The Mantis' Quill, or leave a link in a comment on one of the posts, and if it is deemed awesome enough by Alrugo, it will go up in its own post. 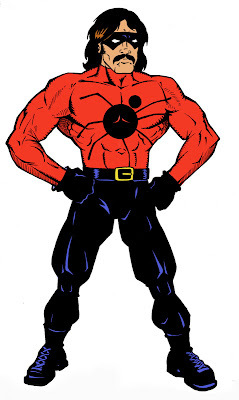 To start the awesome-o-ball rolling in the fan art, here's a toe-jammingly spectacular comicesque incarnation of our good friend and confidant, Italian Spiderman, created by a sheer genius over at Level Six Studios. Assumedly his name is Jon Colton. His work is top-notch. 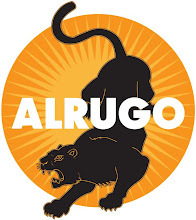 Send all your Alrugo-related stuff to Gueebster@hotmail.com or link us up via post comments. Great art work! Glad I found this blog, I am working on my Italian Spiderman Halloween Costume as we speak. Keep up the good work, Episode 3 was hilarious.